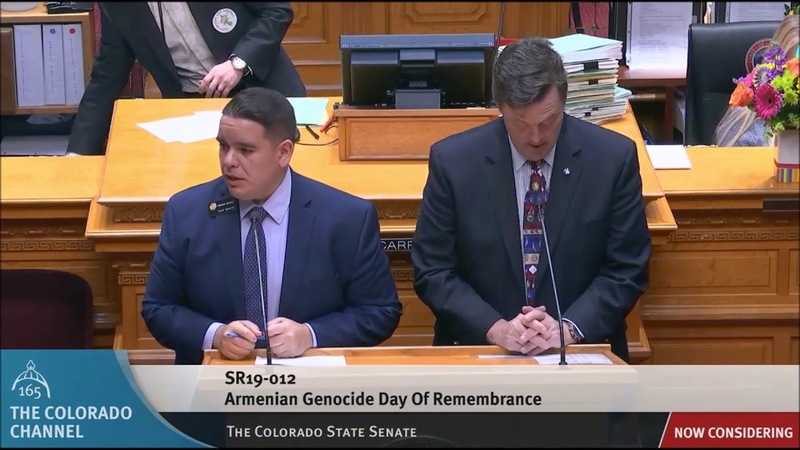 As the 116th Congress begins, the Armenian Assembly of America (Assembly) prioritizes passage of a congressional resolution on the Armenian Genocide as minority communities continue to be persecuted and targeted. Across the Middle East and other parts of the world, vulnerable minorities are facing the preconditions of genocide, or have already been subjected to gross violations of human rights. Just this week, Armenian schools in California were vandalized when trespassers hung Turkish flags. In an official statement released on February 1, the Assembly called for universal condemnation of this hate crime and urged a swift investigation to hold the perpetrators accountable. “We have heard from our members and the community’s concern and frustration with the status quo regarding the semantic gymnastics which the Executive Branch, and recently some courts, have gone through to avoid using the term Armenian Genocide. They are not only embarrassing but also dangerous in a time where we see the risk of genocide in the same region and around the world increasing, as well as an increase in hate crimes. Since President Ronald Reagan clearly used the term Armenian Genocide, successive presidents have been afraid to reaffirm the United States record so clearly. It is a dysfunctional situation that needs to be corrected, and once again we will turn to Congress to reflect the will of the American people and be faithful to the principles that make this country great,” stated Assembly Co-Chairs Anthony Barsamian and Van Krikorian. “The United States has officially recognized the Armenian Genocide since the time of the 1948 Genocide Convention. The subject is covered in the training for United States foreign service officers, exhibited in the U.S. Holocaust Museum, confirmed by the U.S. Court of Appeals for the District of Columbia, and taught in schools and universities around the country. A perfect example is the landmark case in Massachusetts to continue teaching the facts of the Armenian Genocide and other crimes against humanity in public schools across the state, for which the Assembly filed an amicus brief, and, with the support of teachers, students, and survivors, defeated Turkish efforts to remove it from Massachusetts classrooms,” the Co-Chairs added. According to the Early Warning Project of the U.S. Holocaust Memorial Museum (USHMM), Turkey is ranked 8th among countries with the highest risk of committing mass killings, with an 11.2 percent chance of committing new mass killings during 2019. Turkey has been in the top 15 in each of USHMM’s past three annual assessments. “We are watching history repeat itself as minorities are facing genocidal persecution, and in some cases carried out by Turkey. We must act now before Turkey attempts to commit another genocide in the region, this time against the Kurdish population in Syria. 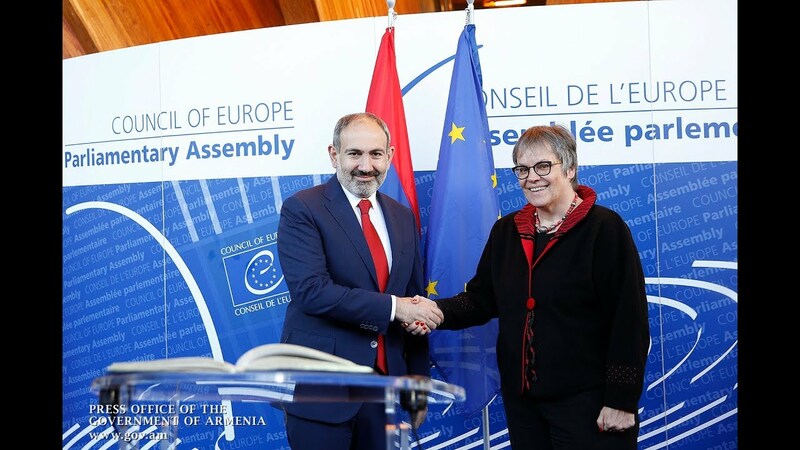 By holding Turkey accountable for the genocide committed by Ottoman Turks in 1915 – the first Genocide of the 20th Century – then Erdogan’s like-minded genocidal attacks today would be checked and stopped,” Assembly Co-Chairs also stated. “Events around the world and even in the United States today only confirm the dark thinking of Hitler in his speech inscribed on the walls of the Holocaust Museum: ‘Who, after all, speaks today of the annihilation of the Armenians?’ It is time for passage of a new Armenian Genocide Resolution for America’s sake and for the victims past and present,” they concluded.